Singer, dancer, actress and choreographer. 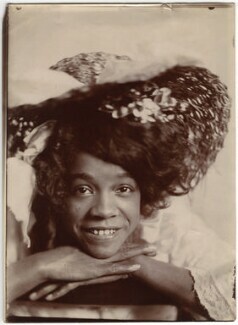 Born on Valentine's day in New York City, Overton began her career in the chorus of 'Black Patti's Troubadours'. She met her husband George W. Walker whilst performing in The Senegambian Carnival in 1899. 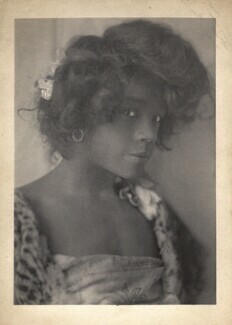 Played the female lead in The Policy Players (1899) and Sons of Ham (1900) before coming to London with the production of In Dahomey in which she played Rosetta Lightfoot, 'a troublesome young thing'. 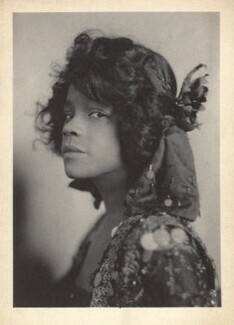 In 1908 during the run of Bandana Land, her husband became ill and Aida, wearing her husband's male costume, performed both his role and her own.